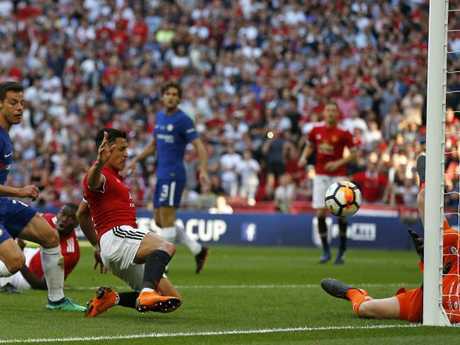 EDEN Hazard's first-half penalty proved decisive as Chelsea salvaged their season by beating Manchester United 1-0 in the FA Cup final in what is widely expected to be manager Antonio Conte's swansong. The Belgian's searing pace earned the spot-kick in the 21st minute after forcing Phil Jones into a desperate lunging tackle and he coolly tucked it away for what proved to be the winner. Chelsea captain Gary Cahill hailed the win as a "dream come true". "You can see what it means to us, the staff, the fans," he said. "This was to save our season. Not in an arrogant way but we have to try and win things. "That's two in two, a league title and an FA Cup." Jose Mourinho's United were dismal in a scrappy first half and although they improved significantly after the break they were denied a record-equalling 13th FA Cup triumph and ended the season without a trophy. 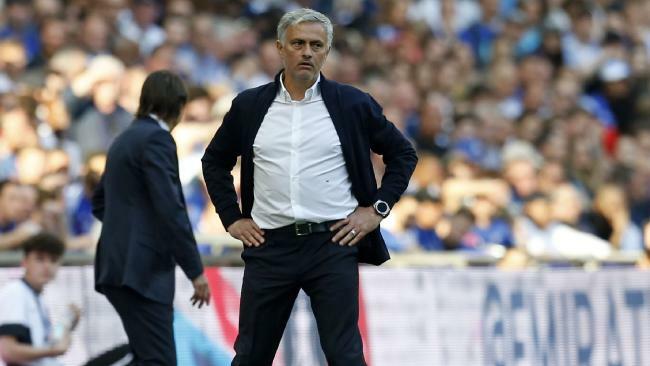 Mourinho was not impressed with Chelsea’s approach. It was only Mourinho's third defeat in 15 Cup finals as a manager. 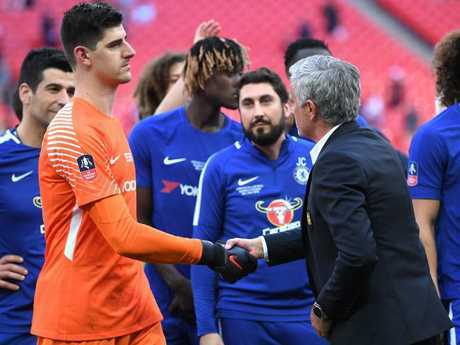 Mourinho said he was doing his duty as a sportsman by congratulating Chelsea's players and staff for their triumph - but the Portuguese thought his United side should have lifted the trophy and took aim at the Blues for defending with "nine players". "I congratulated them because they won but I don't think they deserved to win," he said. 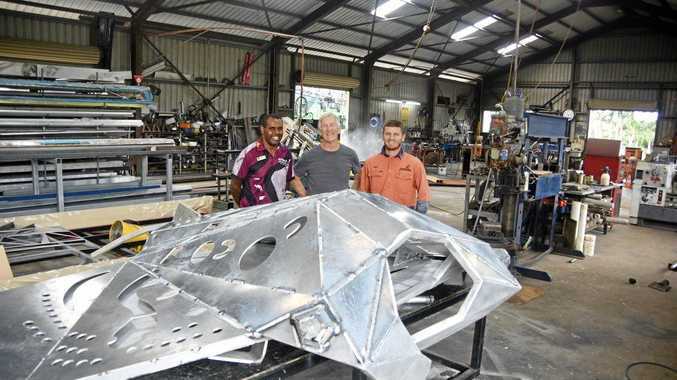 "I congratulated them because I am a sportsman. They scored one more goal than us and they got the cup and so I've got to do what my job asks me to do. "I'm the Manchester United manager and I have to be respectful, not just because they were my previous club but because they were the opponent that won the cup. "I think we deserved to win, I think we were the best team, but that's football." "I am quite curious to know what you say or what people write because if my team plays like Chelsea did, I can imagine what people would say. I am quite curious." Fine margins can so often make the difference in finals and so it proved on Sunday morning (AEST) when Alexis Sanchez saw his close-range finish ruled out for offside, as United desperately searched for an equaliser in the second half. Thibaut Courtois had pulled off a stunning, full-stretch save to parry away Phil Jones' header, but the Chilean was on hand to stick the ball in the net. However, the linesman had spotted Sanchez had strayed fractionally ahead of play as Jones stooped to head goalwards. This being the first FA Cup final to use video assistant referees, the incident should have been easily cleared up to placate the furious United fans behind that goal. But whether Neil Swarbrick - monitoring VAR - relayed confirmation to referee Michael Oliver or not was unclear. There was further controversy just a few minutes later when Victor Moses' chipped ball back from the touchline hit Ashley Young's arm in the United penalty area after David De Gea had denied Marcos Alonso. Oliver's hand went to his earpiece, there was a delay and then nothing was given. Fans at both ends of the ground were left unclear of what was going on, without even a scoreboard signal that VAR was in use.